NHL hockey is back and with the regular season approaching people are starting to scramble to find the best access to watch live NHL hockey on their Kodi box. For those who are cable cutters finding a reliable option for sports streams (and in this case hockey) can be a tiresome pain. Luckily many of the professional sports leagues these days have online options and the NHL is no different with NHL Game Center. 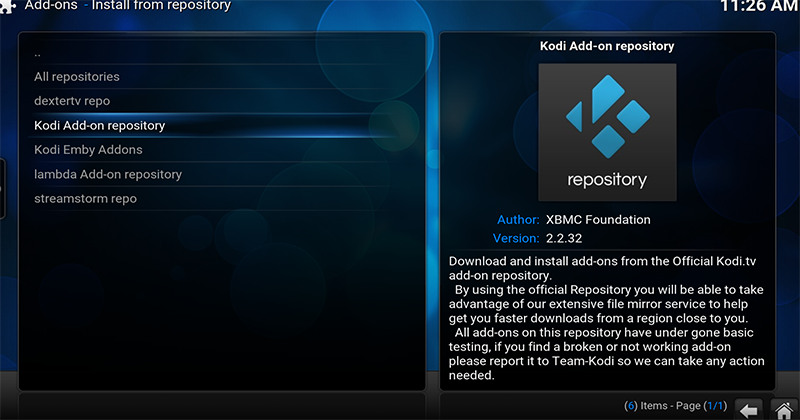 It’s legit, works well, and is supported in the official Kodi repository meaning you shouldn’t have to worry about the lack of development. The only drawback…the price. This guide is out of date, for an updated version check out how you can install NHL.TV on your Kodi box. We all cut cable for different reasons, whether being sick of the price or just fed up with the inability to actually choose what we want to watch. The thing that kept me hesitant from cutting cable was the lack of sports options available but when my subscription got charged another ten dollars for now reason I decided it was time to stop. 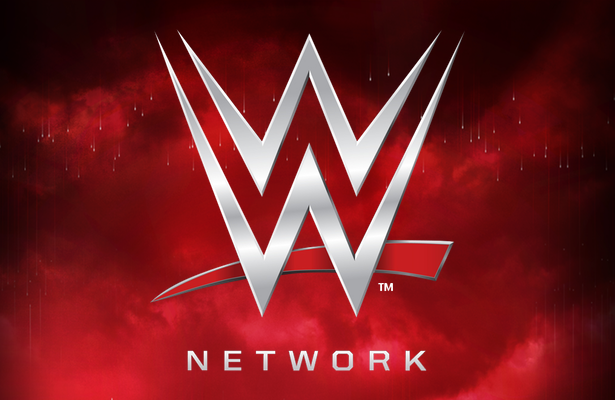 In the end it was a great decision and when I found out about a few sports addons things transitioned very smoothly. One of those addons is NHL Gamecenter. 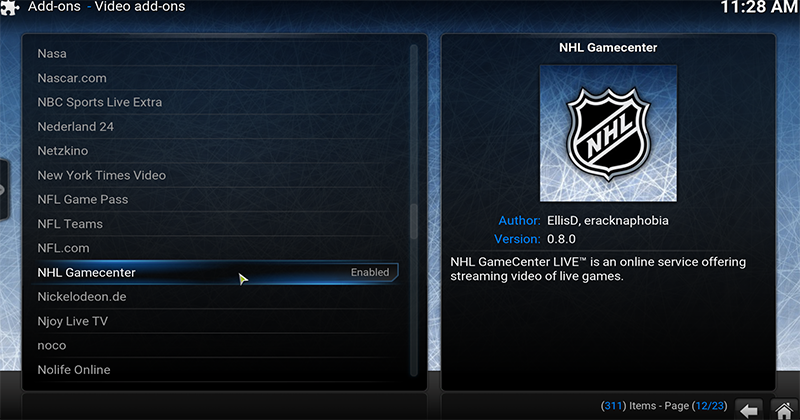 If you’re unfamiliar with the service it is the addon provided by the NHL for online streaming of games. 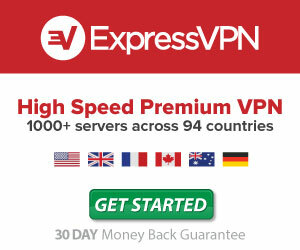 The quality is great and the service is typically very reliable. The biggest drawback comes in the form of regional blackouts, the same problem you face with purchasing NHL Centre Ice for your TV. Basically what this means is that despite purchasing this addon you are forced to watch any local games through the local channel. In my case that would mean watching it on Sportsnet and not NHL Centre Ice. With a new deal in the works it’s hard to say if the NHL’s stance on this will change but it has been a huge gripe of users for as long as I can remember and unfortunately it still exists today. If you suffer through this dilemma then your best bet is to check out my guide on how to install hockeystreams in Kodi instead. Hockeystreams isn’t licensed by the NHL so it could disappear at any time but the nice thing about it is you can watch any game (even AHL and CHL) on your Kodi media player without worrying about any NHL regional blackouts. If you’re still worried about the legality or you’ve already purchased an NHL Game Center package then getting setup in Kodi is very very easy. Follow my video guide above or the steps below to get up and running. As always here are the things you need to get up and running. You’re going to need a NHL Game Center subscription in some form. These can be free (Rogers offers it free with select plans through their service), $199.99 a year, or you can pay monthly at $29.99. Once you’ve got one you will be provided with a username and password which you’ll need to keep handy. That’s it. 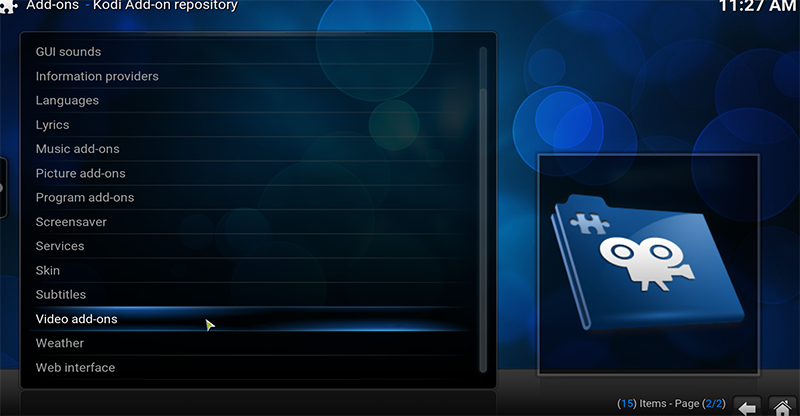 The addon itself is installed in the Kodi repository so we don’t need to add anything else to our setup. This is very straight forward. 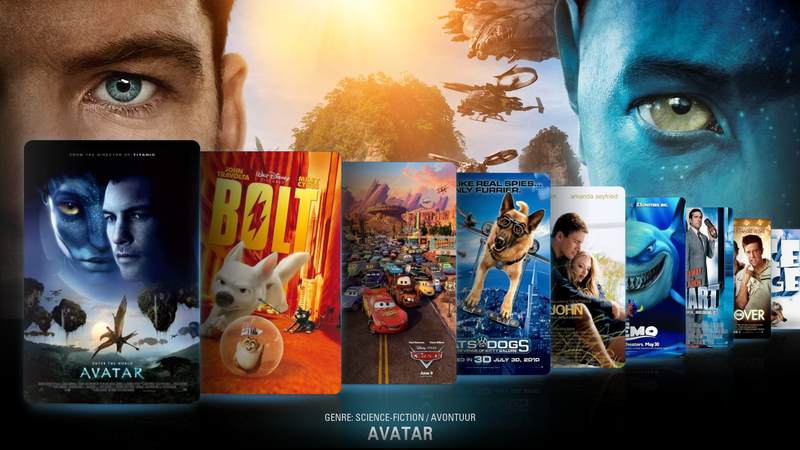 No installing additional zip files and or messing around with files, we simply open Kodi and install. 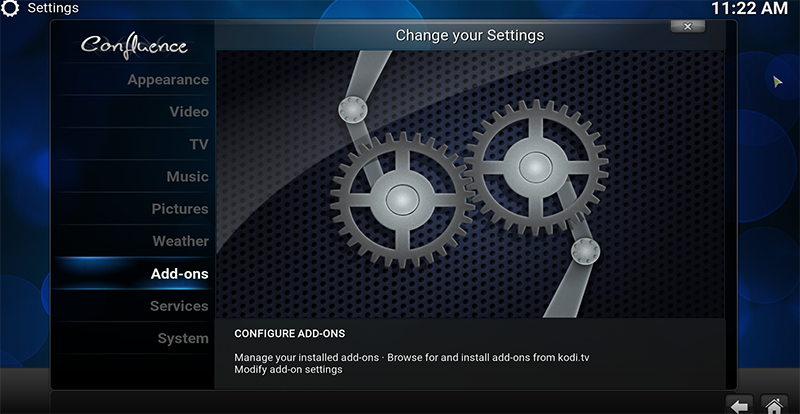 Start by opening Kodi and going to the SYSTEM menu. Hit ENTER to open. From there we need to scroll down to the ADD-ONS option, select it and hit enter. 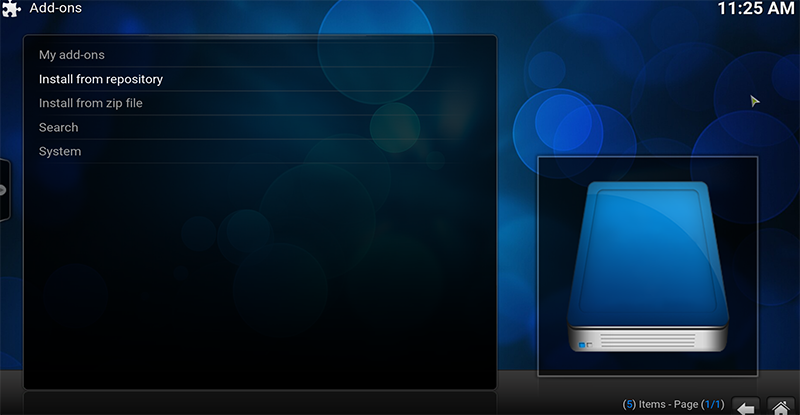 Now we want to highlight and select INSTALL FROM REPOSITORY. Inside of here you should see the KODI ADD-ON REPOSITORY. Select it and hit enter. 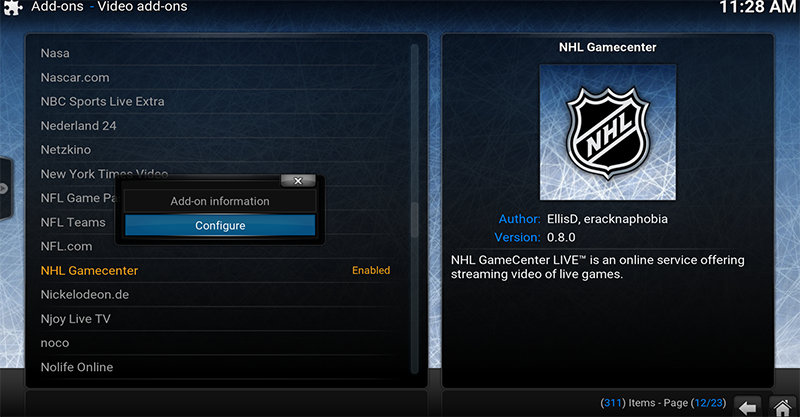 Now you just need to find NHL GAMECENTER and hit enter. From there you should see it being installed. Before exiting out of this screen we need to configure our settings and add our user account. To do that make sure you’ve highlighted NHL Gamecenter and bring up the context menu. You can do this by pressing “C” on the keyboard, other devices will be different. Finally once you’ve entered the screen add the information you’ve been provided. You can fool around with any settings you’d like to change but you can always come back to this screen. 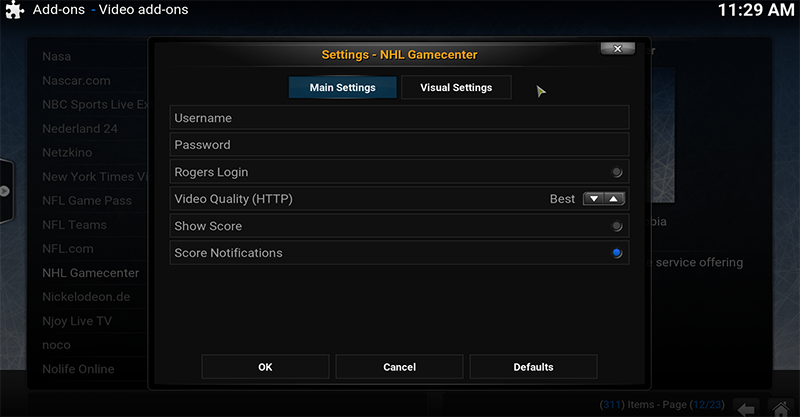 Once you’ve added your account information you should be able to start using NHL Gamecenter in Kodi without a hitch. To find it all you have to do is go back to the main screen and scroll to the VIDEOS menu, in the popout menu below choose ADD-ONS and hit enter. Once inside you should see Gamecenter and all you should have to do is hit enter to open. From here watching NHL hockey should be a breeze. For other sports you can learn how to install Sportsdevil or find other premium options (we will be adding more as we find them). Enjoy the NHL season, if you have any concerns, questions, or problems be sure to leave them in the comment box below.